Deer Harbor is a very peaceful, quiet, and picturesque community, so it should come as no surprise that the local venues are often used for wedding ceremonies and retreats. Planning services with decades of experience in finding their clients the perfect location and arrangement are eager to help make your special day perfect. 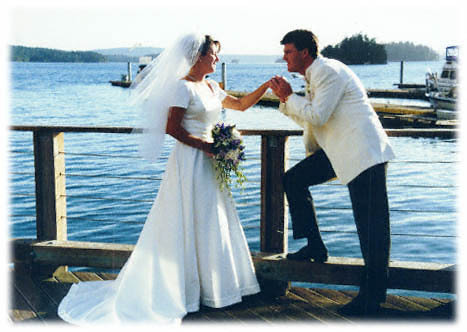 Be sure to enlist the assistance of Orcas Island’s professional pool of wedding photographers. Local artists and musicians are available for hire to enliven your ceremony and reception. 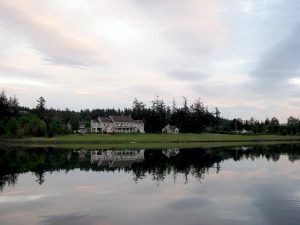 Restaurant services in Deer Harbor and across Orcas Island have catering rehearsal dinners and wedding receptions down to an art, and offer a wide variety of savory fares for meal choices. 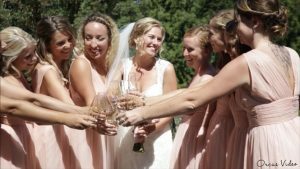 For a truly unique wedding or reception experience, charter a boat from one of Deer Harbor’s charter services and enjoy your special moment on the beautiful waters of the San Juan Islands. 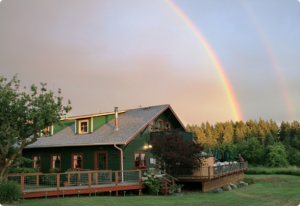 We offer full service catering at any location on Orcas Island! We also host weddings on our property, where your new life together will begin in the middle of a hundred year old apple orchard. The backdrop of the ceremony will be beautiful Deer Harbor with the small wasp island chain and the Olympic mountain range in the background. The ceremony will be under the wedding arbor with seating for your guests facing the harbor. Our staff can also help in arranging ministers, wedding cake, flowers, and photographers. Hair styling, beauty services, facials, and massage can also be arranged. Robert is a wedding, portrait and fine art photographer based on Lopez Island in Washington State. He specializes in capturing once-in-a-lifetime wedding photographs and portraits throughout the San Juan Islands and Pacific Northwest. 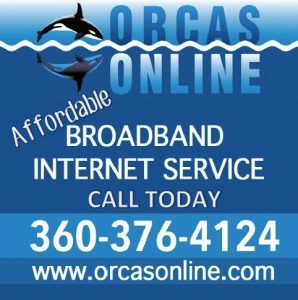 47 foot vessel available for wedding charters on Orcas Island in the San Juan Islands, accommodating up to 35 guests from Deer Harbor or Rosario. 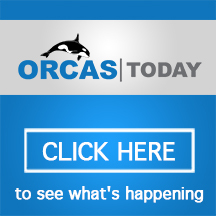 Take your wedding party on a whale watching trip or a cruise through the islands. Discounted group rates! We now have a captain/minister available!! We are a full service wedding film production company. We are a registered, licensed and insured LLC. Our services include wedding films, wedding photography, save the date short films, love stories and rehearsal dinner coverage. Friendly, easy-going, with attention to details, we can save you time and stress by offering tips and logistical support for the best island vendors for everything you need for your wedding, as well as tips and logistical support with transportation, lodging, dining, and recreation opportunities for you and your guests. We coordinate services so all goes well.